For the last decade, the retail press has been predicting the death of the high street. And whilst it’s true that UK high streets have faced numerous store closures since the advent of online shopping, and that yes, they have struggled – it might not be entirely true to say the high street is dead. Not just yet anyway. We took a look at some exciting developments happening all over the nation and based on this research, imagined the high street of the future. We’ve used our findings to highlight how retailers aren’t going down without a fight. The high street is certainly changing, but this change is an evolution – not an extinction. So how does the future high street look? What are some of the changes we can expect to see from retailers in the future? Experiences are going to be key to the future of the high street – and its ‘experiences’ retailers are going to have to embrace if they want to stay relevant. Dead towns have been transformed by re-pitching to experiences. The introduction of the Altrincham Markets, for example, turned the town from a ghost town into a day out destination – vacancy rates from 30% to 7.9%. And filling ‘dead space’ with relevant concessions such as coffee shops, prosecco bars, florists and artistic activity stations are just some of the ways that retailers are encouraging customers to spend more time in store and improve the quality of their experience. It may be a case that the high street evolves to include different kinds of retailers – some of these returning classics from the past. Bookshops, barbers and coffee shops are thriving. It turns out you can’t beat a good book, with independent bookstores growing for the first time since 1995. For a supposedly dying industry, 24 new independent bookstores opened across the UK in 2017 – great news for bookworms! Elsewhere, barbers are thriving by taking advantage of the increased vacancy rates, snapping up the smaller retail units and creating independent, affordable alternatives to the higher priced premium hairstyling chains. Barbers benefit by not needing a lot of space to turn a profit, 150 new barbers opened in 2012. Coffee stores are an industry valued at £3.4 billion in 2017, and show no sign of slowing down. The high street is poised to become a day out destination. 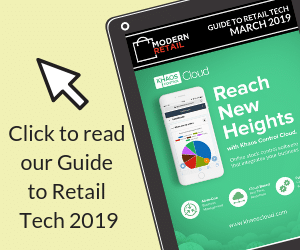 Determined to make themselves stand out and pull the customers back in, retailers such as Topshop and Topman are introducing in-store digital experiences – think interactive touch points such as virtual reality scenes and DJ booths. The store is becoming an experience destination, with the experience being a driving factor for customers. Offline and online are merging to create one all-encompassing hybrid shopping experience. Retail theatre experiences are naturally social media shareable, while pop up stores are becoming a big business for former online-only stores looking to broaden their horizons. And, while some online-only stores are branching out into physical retail spaces, other bricks and mortar retailers are doing the exact opposite by creating new hybrid concept stores. Nordstrom in the US, for example, has created ‘Nordstrom Local’, a physical clothing store with no stock. Customers can order online and come to the store to pick up and try on clothing, therefore reducing the amount of retail space needed. Is this the future of fashion retail? One of the biggest changes we’re likely to see as high streets become more concession and experience based destinations is the rise in high street living. Could disused lots be converted to tackle the ever-growing housing crisis? An estimated 300,000 to 400,000 new homes could be created simply by using and converting these empty retail spaces, transforming the dynamic of our high streets forever. The high street is merely evolving into a more relevant, engaging and future-proof experience where offline meets online and the old meets the new. Carrie Gilbertson is Commercial Manager of Displaysense Ltd. During the last 12 years, Carrie has overseen all aspects of operations, product development and strategic planning within the business. Working closely with retailers, Carrie has seen significant changes to the marketplace over the last decade and has a keen interest in discussing the future of the retail industry.